Carbohydrate-binding modules (CBM) have been classified into more than 40 families according to sequence homology. 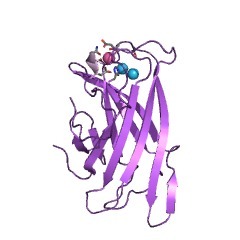 Several cellulolytic enzymes share a conserved region of about 150 amino acid residues, the CBM3 domain [(PUBMED:1490597)]. It has been classified in three different subtypes, termed family IIIa, IIIb and IIIc. 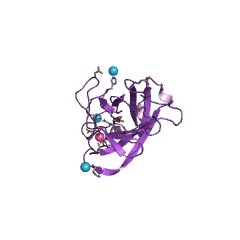 The family IIIa (scaffoldin) and IIIb (mainly free enzymes) are closely similar in their primary structures and both types bind strongly to crystalline cellulose [(PUBMED:8918451), (PUBMED:11092922)]. 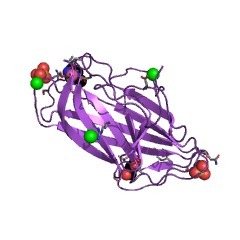 Members of the family IIIc, fail to bind crystalline cellulose, but serve in a 'helper' capacity by feeding a single incoming cellulose chain into the active site of the neighbouring catalytic module pending hydrolysis [(PUBMED:9537366), (PUBMED:9055408)]. 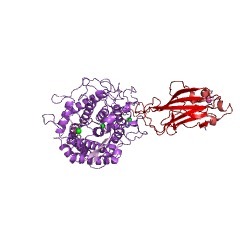 The CBM3 domain is mainly found C-terminal to the catalytic domain, which correspond to a wide range of bacterial glycosyl hydrolases like family 9, family 5 and family 10. 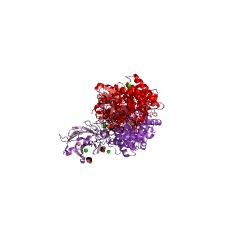 The crystal structure of CBM3 has been solved [(PUBMED:8918451)]. 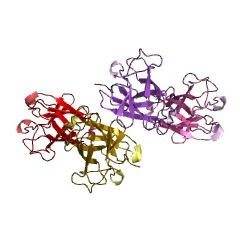 It consists of nine beta-strands which form a compact domain that has an overall prismatic shape. It is arranged in two antiparallel beta-sheets that stack face-to-face to form a beta sandwich with jelly roll topology. 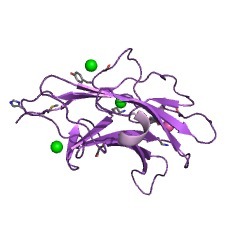 Two defined surfaces, located on opposite sides of the molecule, contain conserved polar and aromatic residues which are probably involved in the binding of the CBM to cellulose [(PUBMED:8918451), (PUBMED:11092922)]. The first one forms a planar strip whereas the second one forms a shallow groove. 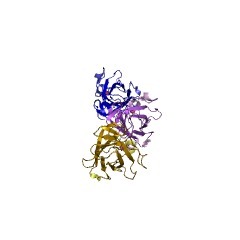 Clostridial cellulosomal scaffolding proteins cipA, cipC and cbpA. They promote the binding of cellulose to the catalytic domains of the cellulolytic enzymes. 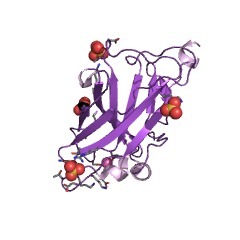 Bacterial cellulases A, B, F, G, I, N, Y, Z (Endo-1,4-beta-glucanase, EC 3.2.1.4). 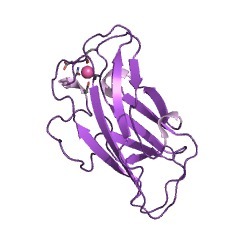 This entry represents the CBM3 domain, which is also known as cellulose-binding domain family III (CBD III). 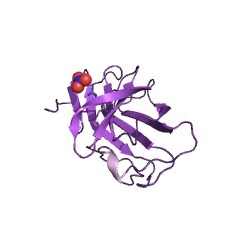 There are 2662 CBM_3 domains in 2304 proteins in SMART's nrdb database. Taxonomic distribution of proteins containing CBM_3 domain. This tree includes only several representative species. The complete taxonomic breakdown of all proteins with CBM_3 domain is also avaliable. Click on the protein counts, or double click on taxonomic names to display all proteins containing CBM_3 domain in the selected taxonomic class. 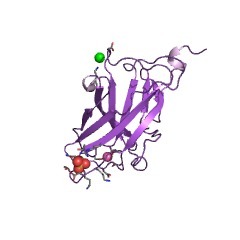 Crystal structure of a bacterial family-III cellulose-binding domain: ageneral mechanism for attachment to cellulose. The crystal structure of a family-III cellulose-binding domain (CBD) fromthe cellulosomal scaffoldin subunit of Clostridium thermocellum has beendetermined at 1.75 A resolution. The protein forms a nine-stranded betasandwich with a jelly roll topology and binds a calcium ion. conserved,surface-exposed residues map into two defined surfaces located on oppositesides of the molecule. 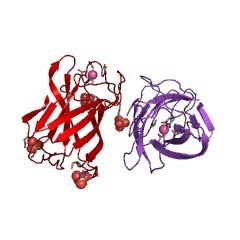 One of these faces is dominated by a planar linearstrip of aromatic and polar residues which are proposed to interact withcrystalline cellulose. The other conserved residues are contained in ashallow groove, the function of which is currently unknown, and which hasnot been observed previously in other families of CBDs. 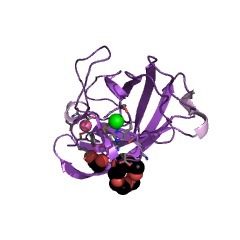 On the basis ofmodeling studies combined with comparisons of recently determined NMRstructures for other CBDs, a general model for the binding of CBDs tocellulose is presented. Although the proposed binding of the CBD tocellulose is essentially a surface interaction, specific types andcombinations of amino acids appear to interact selectively with glucosemoieties positioned on three adjacent chains of the cellulose surface. 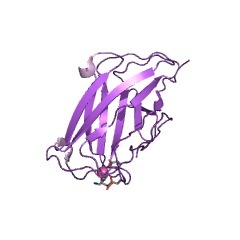 Themajor interaction is characterized by the planar strip of aromaticresidues, which align along one of the chains. 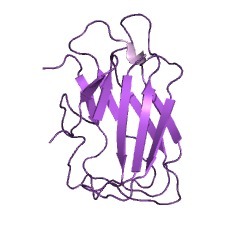 In addition, polar aminoacid residues are proposed to anchor the CBD molecule to two otheradjacent chains of crystalline cellulose. 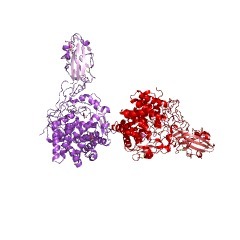 Identification of the cellulose-binding domain of the cellulosome subunitS1 from Clostridium thermocellum YS. 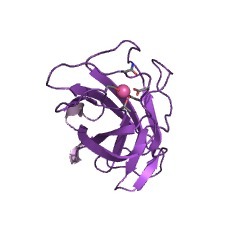 The 3' region of a gene designated cipB, which shows strong homology withcipA that encodes the cellulosome SL subunit of Clostridium thermocellumATCC 27405, was isolated from a gene library of C. thermocellum strain YS.The truncated S1 protein encoded by the cipB derivative bound tightly tocellulose. 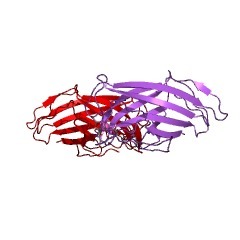 The cellulose-binding domain in this polypeptide consisted of aC-terminal proximal 167 residue sequence which showed complete identitywith residues 337-503 of mature SL from C. thermocellum strain ATCC 27405.The cellulose-binding domain interacted with both crystalline andamorphous cellulose, but not with xylan.